This weekend is the highlight of summer in Rochester... the Park Ave Festival. 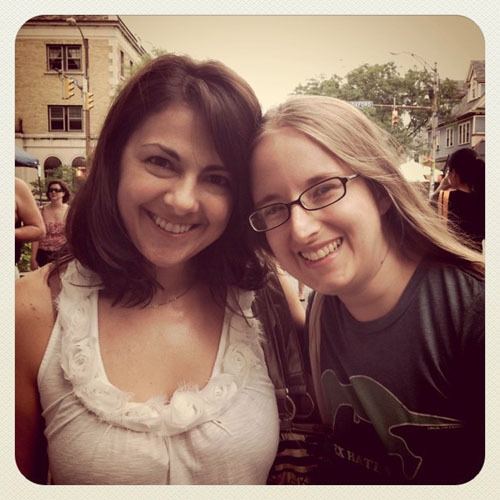 I walked up and down Park Ave with Tina and Aprille and peeked into each and every booth. 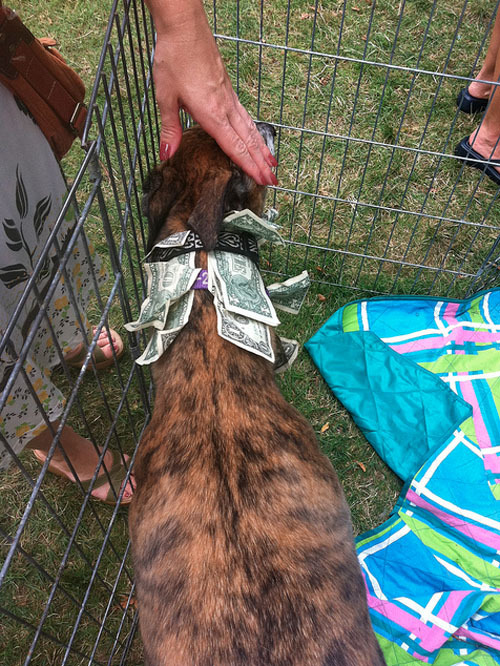 Highlights - stuffing dollar bills in collars for greyhound charity. 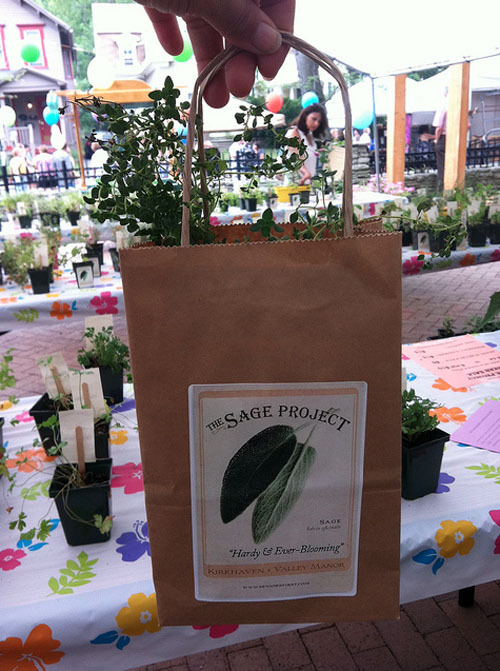 Buying herbs for The Sage Project - proceeds support recreational programming for seniors. I also got a lot of t-shirts... more on that later. 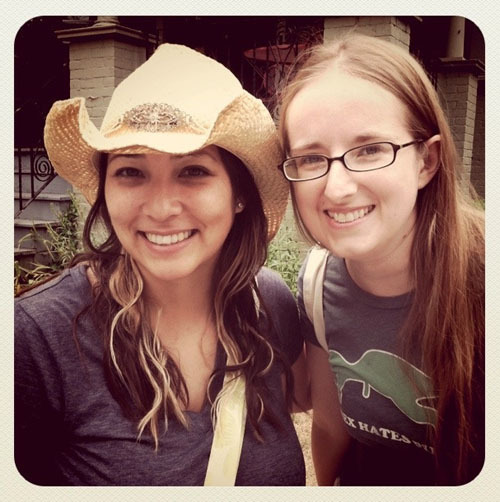 Love your longer hair Jenny! So cute!